It is a statement of the obvious to remind my readers that, when it comes to perfect design, noone has ever held a candle to mother nature. The extreme diversity, the glorious patterns, the strange aesthetic connections we make between flora and fauna – what a gift to have the ability to witness and analyze the incredible conversations that transpire between all living things, sentient and not. And while universally unpopular, perhaps this magnificence is most striking in a world that we are desperate to disregard. It is a world that disgusts us, a world that we are hellbent on squashing and spraying with aerosol and eradicating from our lives entirely. I am talking, of course, about the tragically misunderstood yet noble insect. Earlier today, I was positively floored upon seeing the first examples of Eugene Seguy’s work that I’d ever had the pleasure of stumbling across. This is coming from an admitted dilettante, but I’ve always been under the impression that there is a proud history and tradition of scientific illustration in France. Seeing antique posters at les puces showing various stages of a chicken’s embryonic development or the elaborate metamorphosis of the butterfly in its chrysalis immediately brings me back to my childhood love of biology. They are engaging and fascinating, and they are no doubt beautiful. But Seguy’s work is something more. A remarkably prolific artist during the first three decades of the 20th century, Seguy was also a scientist who served as chair of entomology at the natural history museum of Paris. His experience and knowledge of his subject allowed him to celebrate critters that had been ignored and even feared while showcasing their misunderstood and undervalued beauty. Upon learning this and seeing but a few examples of Seguys extensive body of work, it becomes clear that his collection of albums was quite the undertaking – and arguably a labor of love. I was delighted when I first caught New York Magazine’s headline “A Rare Glimpse Inside Paris’s 1980s Club Scene”. For whatever reason, the 1980s usually conjure my childhood dreams of New York or, if I’m in a particular mood, my adolescent admiration for London. Images of that era in Paris’s history have entirely eluded me, and it seems reasonable to imagine that that’s not uncommon. 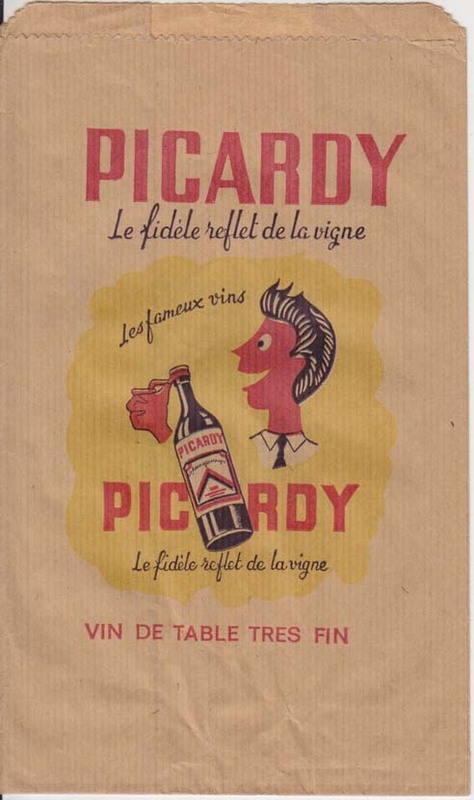 I can’t particularly think of much “party” imagery in France, period, as I have so completely overdosed on the decadent melancholy that can be so predominant in Goddard and 18th century novels. Following this logic, parties often end in disaster. But this wonderful piece, which showcases the work of photographer Ross Whitaker, is filled with lush imagery from a lavish and exclusive world. A successful young fashion photographer that traveled and worked throughout Europe, Whitaker began frequenting Paris’s best parties – and always with his 35 mm camera in tow. In celebration of le weekend, I highly suggest taking a peek at this wonderful piece. 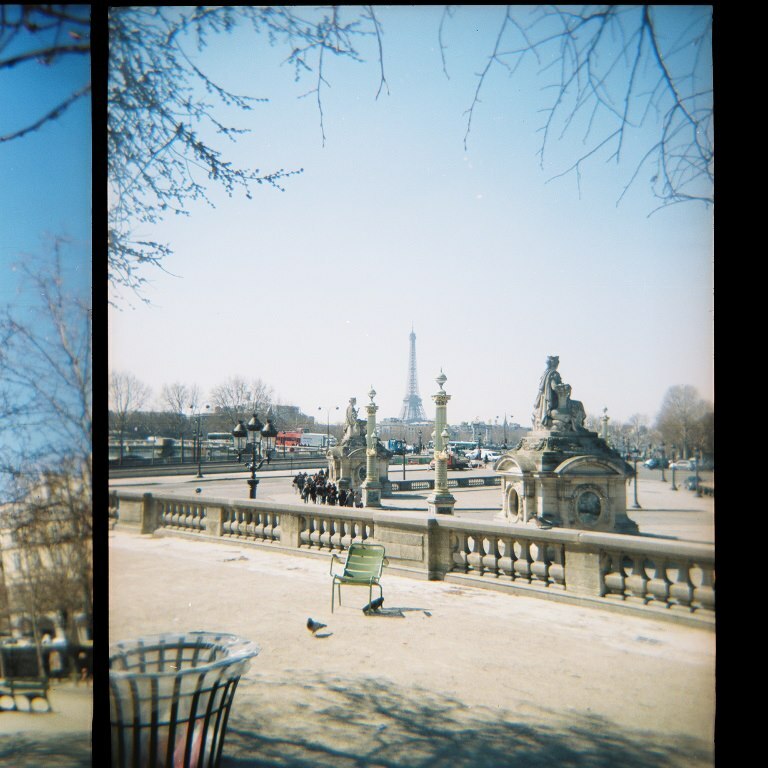 I have a torturous habit of swooning over absolutely everything in Paris. To make matters worse, my curiosity and imagination often overpower the memories, and I find that my deep admiration for the city is made even more profound by my excitement for what I’ve yet to experience. Without my next trip in sight, it only makes sense to obsessively google pictures, street views, upcoming events, maps, reviews – whatever I can get my paws on – to satisfy my virtual wanderlust…and dream. 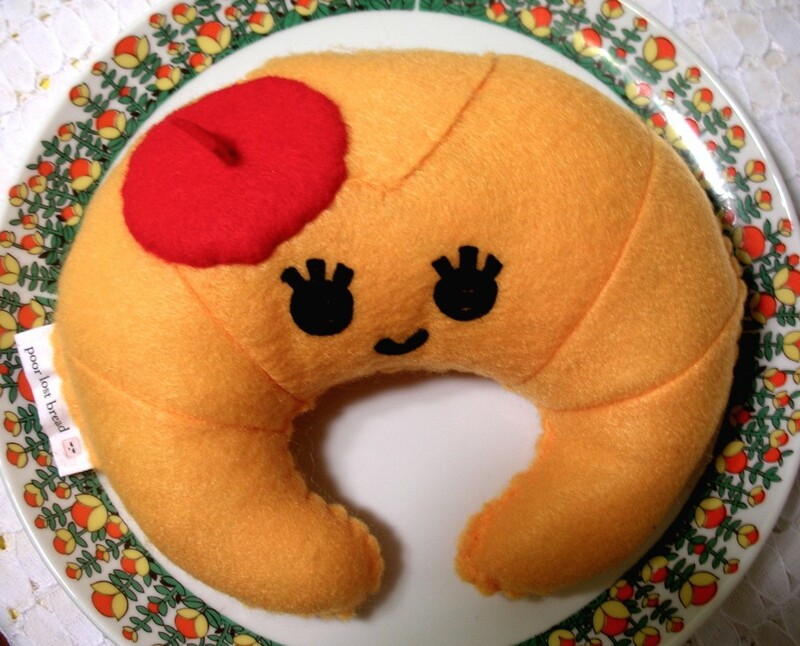 I email links to myself all the time, and they tend to relate to one of three categories: cute dresses, awesome recipes, or French stuff. While I was going through my cache, it occurred to me that it might be fun to share a few of the spots that make me yearn. Please, if you can go, go. And gloat about it. Because it would absolutely be within reason. Aaahhhh, the time-honored tradition of strolling up leisurely to a French cafe, ordering an espresso while cracking open that day’s edition of le Monde, and fussing with Minou. 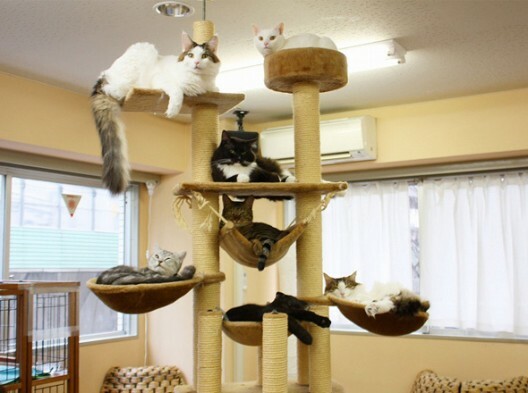 C’est vrai, mes amis – the cat cafe concept, which originated in Japan, has come to Paris! Le Cafe des Chats, located in the fashionable Marais, opened recently to tremendous fanfare, and unbelievably the establishment already suggests that patrons make reservations about a month in advance. While my initial thoughts were fixated on the potential for people-watching (and do keep in mind that I am a total cat person), I can also appreciate the concept of bringing creature comforts (!!!) to those that dwell in a big city and may not have the space or time to adequately take care of a pet of their own. I also believe that spending time with animals has tremendous psychological benefits, and while I myself am not familiar with how the corporeal may benefit, I became curious upon reading the patron’s defense of ‘purr-therapy’ (including the argument that “purring produces vibrations which relieve arthritis and rheumatism, which lower your blood pressure and your heartbeat”). Fellow French speakers may take interest in this article from Le Monde that discusses “la ronronthérapie”, which the cafe kindly linked to on their site. When a former low-income housing project was ordered to be destroyed, the Galerie Itinerrance decided to step in and create an unparalleled opportunity within the street art community. 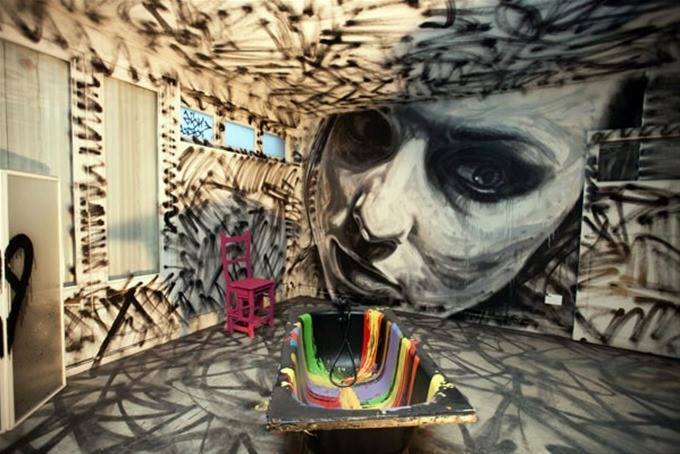 By inviting 80 artists to take over 36 apartments on 10 floors, they conceived of the largest street art exhibition ever to take place. There are currently 4500 square meters of artwork to ogle, but you must act quickly – very sadly, this is a pop up event, and it is slated to end on the 31st of October. This is what the caps lock was made for, you guys. 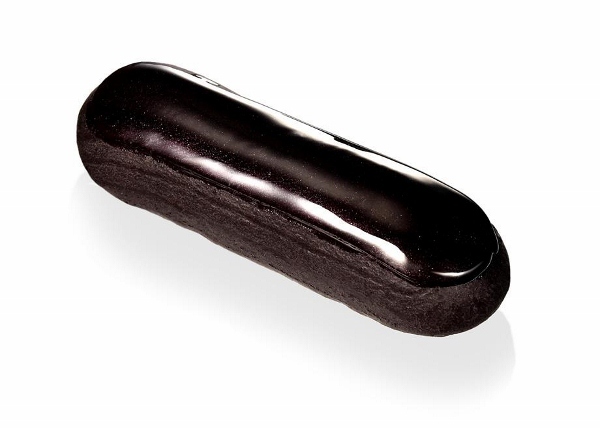 Classic, traditional, even understated or humble, the eclair is one of the greatest culinary achievements that the French have bestowed upon humanity, goddammit. But depending on who you ask, this classic desert has a small problem: it’s terribly predictable. 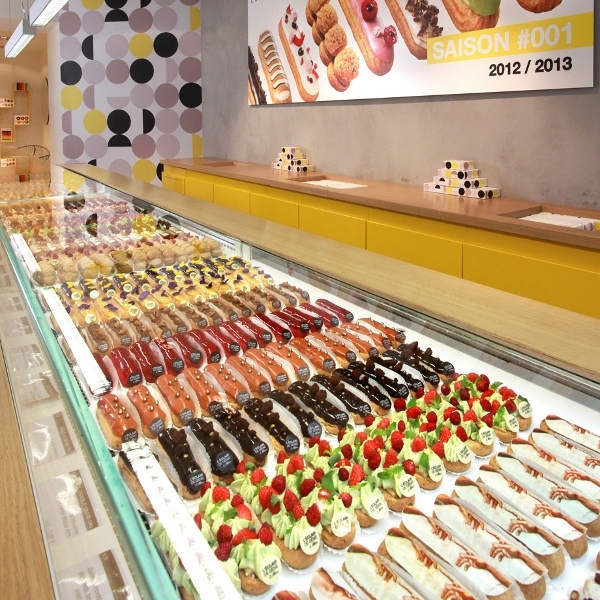 Indeed, since its introduction in the 1900s, the eclair has not been known to embrace change. Pâtissier Christophe Adam has elevated the traditional desert into something truly breathtaking, and while it is easy for most of us to stick with the classics, his imagination has breathed new life into this modest pastry. 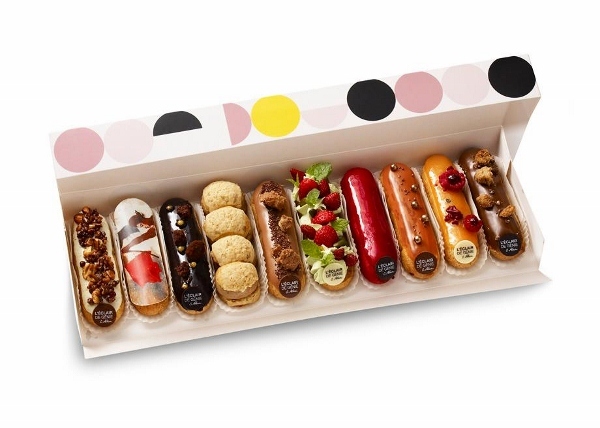 Incorporating ingredients like popcorn, salted caramel, and yuzu, Adams focuses on innovative, delectable flavors that mirror the beauty of the eclairs themselves. BLEK LE RAT THIS WEEKEND MES BOOS! Since the 1970s, street art has become an increasingly celebrated and popular form of visual expression. And while so many of us likely turn to New York when we consider the phenomenon, a multitude of cities throughout the world are home to their own incredibly diverse streetart scenes – and Paris is certainly no exception. 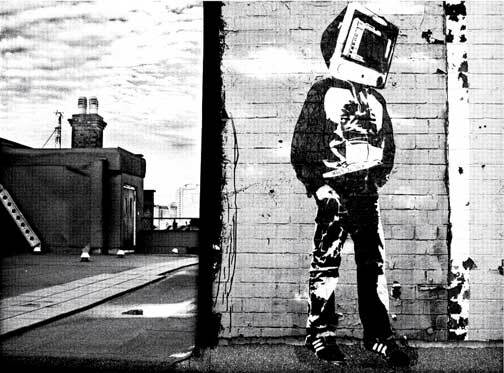 Stencil art, despite feeling a bit ubiquitous at times, retains some of the distinctive qualities that likely propelled it into the mainstream. It is stark, bold, and communicates its message instantaneously – and always with a hint of urgency. Arguably fathered by the visionary Blek le Rat, it has gained popularity among many audiences, from deviant teenagers, to professional artists, to one of my dearest friends, who used it to woo a fella she’d fallen in love with (it worked – they’re getting married!). Working actively since the early 80s, Blek le Rat’s works have both captivated and educated us – and we are able to immediately sense the influence he has had on other popular contemporary artists (Banksy, anyone?). And it is with tremendous enthusiasm that I tell you that this Saturday, September 7th, his largest body of work to date will be presented at the Jonathan Levine Gallery here in NYC. Read the press release here, and I’ll see you at the show! 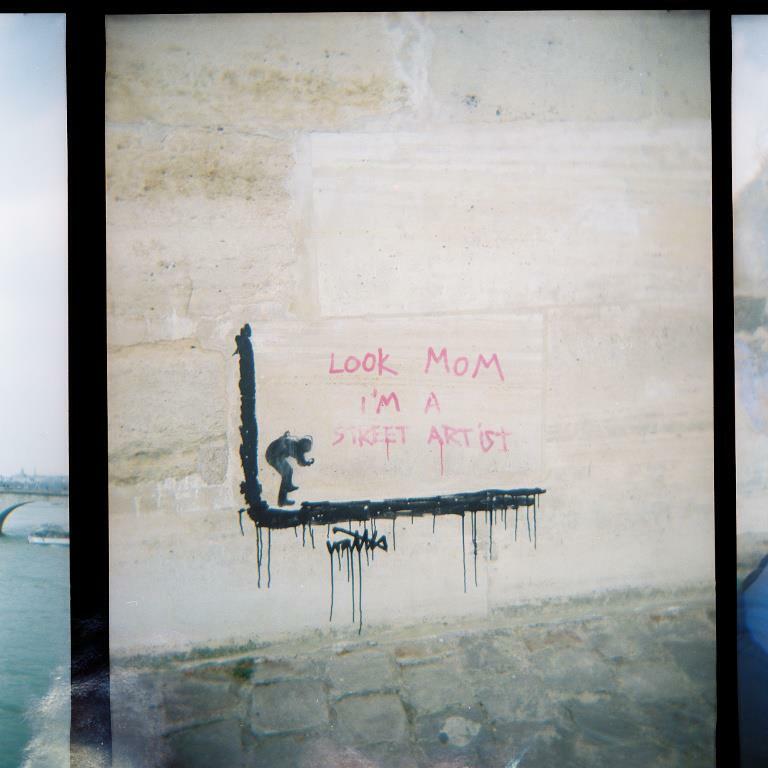 In Paris, aesthetics are paramount. We’re all familiar with the worldclass fashion, era-defining artworks and beautiful food, but designer and journalist Steve Heller pays tribute to the beautiful utilitarian bags that tote our newfound goodies around.